Gov. 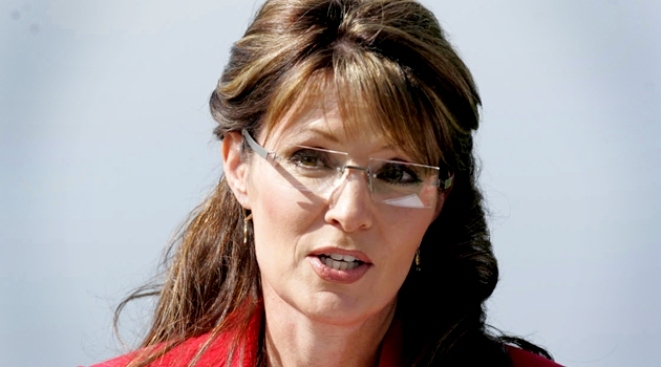 Palin is saying goodbye with a series of picnic lunches in her hometown of Wasilla. WASILLA, Alaska -- Gov. Sarah Palin kicked off the first of three picnics marking her departure from office with a hometown tribute to the troops and an elbow at the news media. Speaking before a friendly crowd at a park here Friday night, two days before she resigns, Palin invoked her soldier son to assure supporters that she is not downcast over the political frustrations that are prompting her to quit before her term is up. She told the hundreds gathered in a military “Honor Garden” that she wanted to “do something… more worthy than speaking politics” before sharing a story about a reporter who had asked her about how she handles difficult days. She concluded her remarks by noting that it was the last time she’d appear in her hometown as governor, thanking the city that first elected her as mayor. After she was done, one man yelled out, “We want you as our commander-in-chief,” prompting more cheers from the crowd and a military-style salute from Palin. But that was the only hint she gave as to her future plans. In a brief interview before the governor addressed the crowd, Chuck Heath, Palin’s father, said he didn’t know what was next for his daughter. Dressed casually in jeans and boots, Palin wore a blue star pin over her sweatshirt, signifying her son’s deployment. She spoke for about five minutes before spending over a half-hour greeting scores of people with relatives on active-duty. With an emcee holding the microphone, a procession of Alaskans and some from the Lower 48 states came forward to briefly introduce servicemembers they were honoring, before shaking hands or hugging Palin and taking a blue star flag from her. Some used the opportunity to pose for a quick picture with Palin, others offered her blessings and thanks, but most were more focused on their loved ones abroad than their fleeting encounter with the 2008 GOP vice presidential nominee. Others in the crowd, though, were plainly there to see the governor. Some wore “McCain-Palin” gear from last year or seemingly homemade Palin shirts and caps. As she tried to make her way out of the ceremony and down to a waiting SUV, Palin was thronged by supporters. While a phalanx of aides, state troopers and plainclothes security officials tried to keep her moving, Palin stopped to sign autographs, pose for pictures and greet at least one girl from a church group. She left with her hands full, as people pressed items ranging from a stuffed moose doll to a copy of conservative talk show host Mark Levin’s best-selling “Liberty and Tyranny: A Conservative Manifesto” in her hand. Officially, the event was called the “Mat-Su Governor’s Annual Picnic,” a reference to Palin’s native valley region here, a picturesque spot where the mountains are still snowcapped in July. A few thousand people were spread out around the park on a 60-degree summer night, some listening to music on a bandstand--there was a folk trio before Palin spoke and an Air Force cover band playing Motown afterward--and others checking out a faux Batmobile, playing on inflatable slides or sipping on the root beer floats a group of Boy Scouts were selling. Not everyone seemed interested in their hometown gal’s departure tour, but before the military ceremony began at least one hundred attendees lined up next to a tent where hot dogs, chips and watermelon were being served and Palin was shaking hands and signing autographs on everything from paper plates to women’s purses. Palin, standing right behind a box of Doritos and Sun Chips but not serving, greeted her supporters warmly. Next to her was daughter Piper, wearing an “Alaska Grown” sweatshirt and signing the occasional autograph herself. There was little question that the governor, so polarizing in this state and the country at large, was among supportive friends who backed her decision to resign. 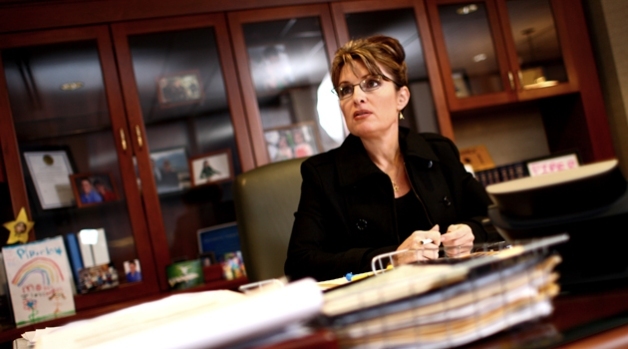 Palin will hold a picnic in Anchorage Saturday and before her formal resignation Sunday at a final gathering in Fairbanks.